Nextbase have announced the launch of the first 4k HD dashboard camera into the UK market. 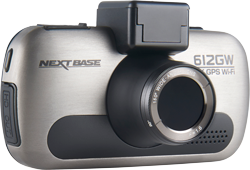 Leading the way in the UK market for dashboard cameras come Nextbase, they have now outdone themselves with the 612GW. They are breaking new ground with the release of the new flagship product. The Nextbase 612GW is the world’s first Dash Cam to capture footage in True (30fps) Ultra HD (4K), boasting the best image quality across the market. The 612GW will be equipped with the latest Sony EXMOR R sensor, it provides unbeatable image quality, which can be even better at night. The camera will feature a polarizing filter which helps reduce the windscreen glare you get from most cameras. It also has a 150° ultra-wide viewing angle allowing it to capture the entire road ahead. All helping in the event of an insurance claim. In a survey of the UK’s biggest insurance companies, carried out by Nextbase, 41 of them will now accept car camera footage as part of an insurance claim. One caveat is that the footage has to be of a sufficient quality to be able to easily prove liability. What else is new to on the 612GW? A number of cutting edge features makes the Nextbase 612GW one of the best dashboard cameras on the market. It includes the top quality elements from the Nextbase dashcam range such as the click & go magnetic mount which is super easy to use and provides the power for the unit and to charge the battery. What’s more, in-built GPS records location & speed data whilst the in-built Wi-Fi enables owners of the unit to instantly upload footage to their social media channels, or share it with their insurance providers or even the police via the Nextbase app. The app provides even easier sharing of the video footage, including full editing capability via the brand-new Replay 3 software, and acts as a personal mobile store for footage, whether users are involved in or witness an accident, or even just catch something of interest on the road. We love it at Dashcam Guru when we catch someone driving badly. The styling has also been very well thought through, including a brushed aluminium case, it makes the unit look that bit smarter than some previous models. It has a full touch screen for taking full advantage of the menu options.